Boris Johnson ramped up pressure on Theresa May today by insisting she must get a ‘freedom clause’ in the Irish border backstop. 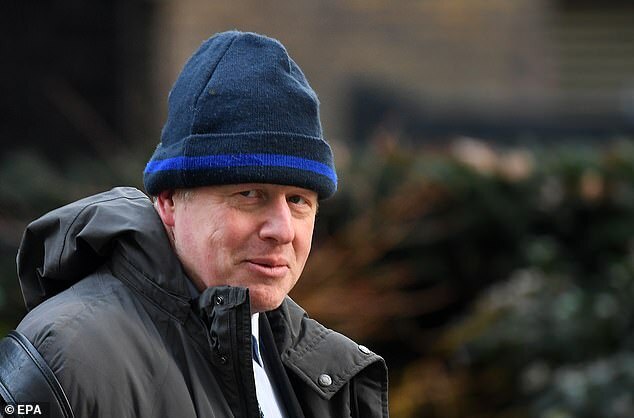 The former foreign secretary jubilantly seized on news that the PM wants to overhaul her Brexit deal, saying a time limit or unilateral exit clause could ‘defuse the booby trap’. But he warned that mean rewriting the text of the Withdrawal Agreement – something the EU has so far been adamant cannot happen. The intervention comes as Mrs May desperately struggles to hold her Cabinet together and fend off a Remainer bid to force a Brexit delay in crunch Commons votes tomorrow. 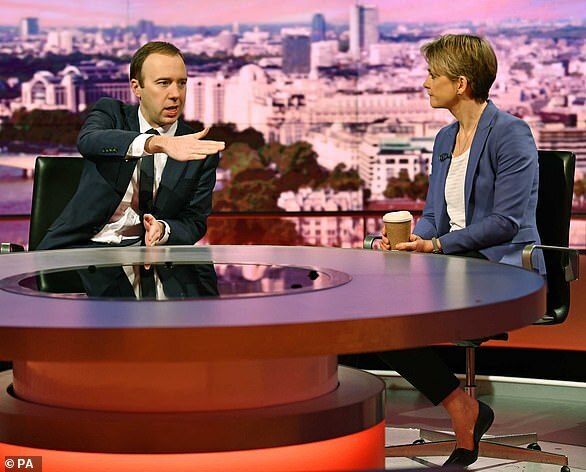 No10 is pleading with MPs not to back an amendment tabled by Labour’s Yvette Cooper that would pave the way for a law to extend the Article 50 process. 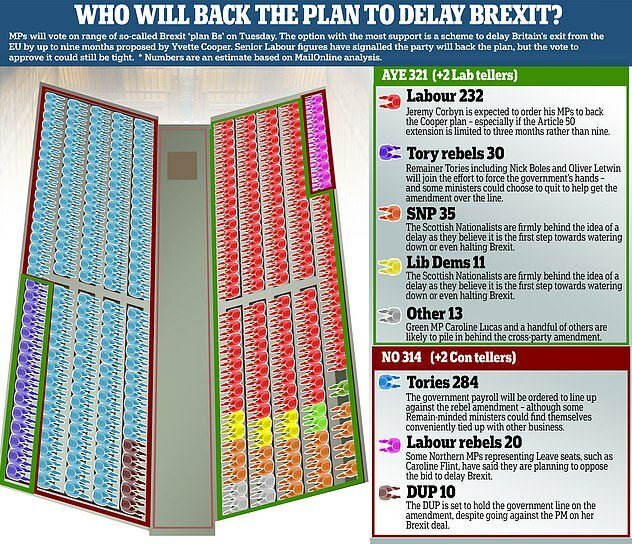 Other changes are trying to rule out a no-deal Brexit, and stage a series of ‘indicative’ votes to work out what approach would gain a majority in the Commons. 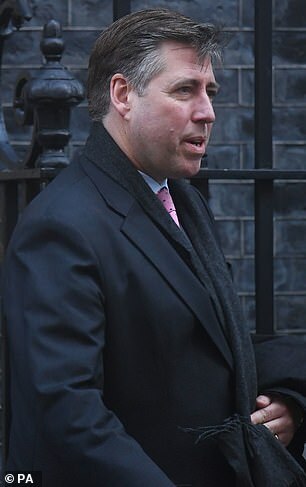 Mrs May seems to be pinning her hopes on amendments tabled by senior Tories including 1922 committee chairman Sir Graham Brady and ex-minister Andrew Murrison that would demand a rewriting of the controversial Irish border backstop – something Mrs May could take to Brussels as concrete evidence of the will of MPs. 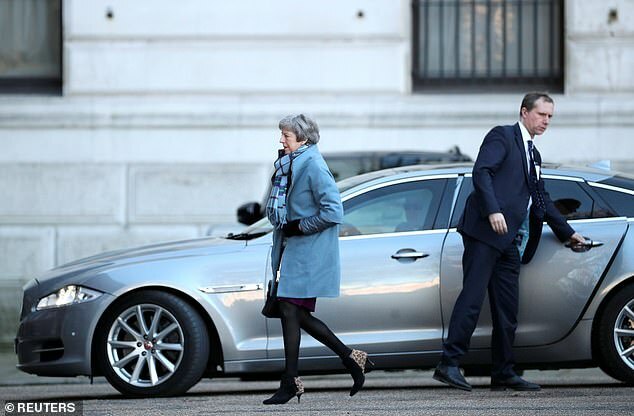 Sir Graham said his proposal would give ‘enormous firepower’ to Mrs May in talks with the EU, but insisted any concessions must be ‘legally binding’. 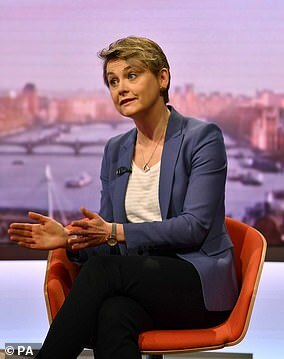 But appealing for MPs to shun the Cooper amendment, a senior No10 source said: ‘Leaving aside the constitutional concerns around the Cooper Bill, it is clear from Yvette Cooper’s comments that backing her Bill means signing a blank cheque when it comes to delaying Brexit.